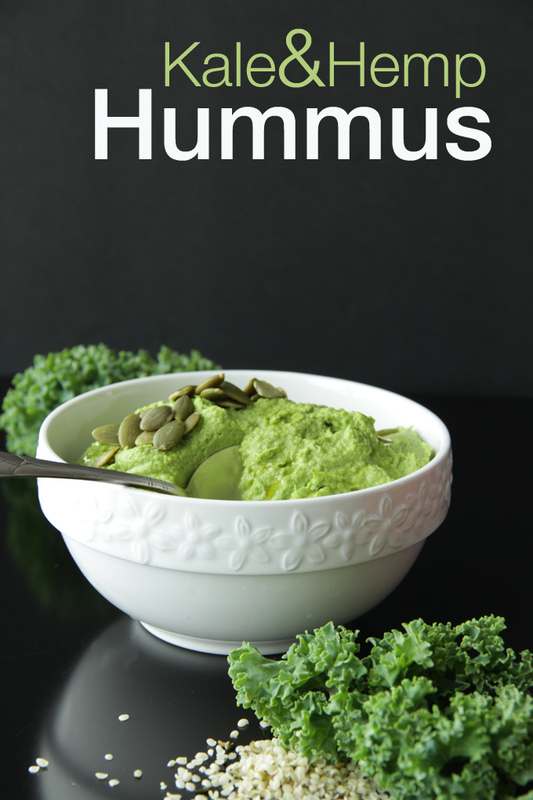 This easy to make hummus is full of antioxidants, fibre and a great source of plant based protein. Another benefit is that you can easily blend it up in just a few minutes! 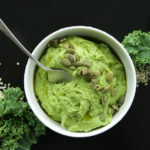 Kale together with hemp hearts and chickpeas creates a bit of a fusion between traditional hummus and pesto sauce. It’s beautifully green, fresh and super versatile – serve with your favourite crackers, veggies, salad, Buddha bowl, inside a sandwich, wrap or anything that you fancy. If you crave a little something yummy and nutritious to fill you up, yet won’t make you feel “stuffed” or “heavy” this is IT! KALE -Kale packs a ton nutrition including vitamin K, lutein, vitamin C, beta-carotene, and it is even rich in calcium. Kale, like other dark green veggies, may be helpful in preventing various cancers such as colon, prostate and ovarian. Its abundant vitamin K content is important for bone health, preventing the effects of osteoporosis. And the folic acid and B6 provide cardiovascular support and prevent heart disease. CHICKPEAS- Chickpeas may not look like it, but they deliver quite a few health benefits, including the ability to promote growth, protect the heart, improve digestion, build strong bones, prevent chronic disease, lower risk of genetic diseases, avoid diabetes, and help with weight loss. 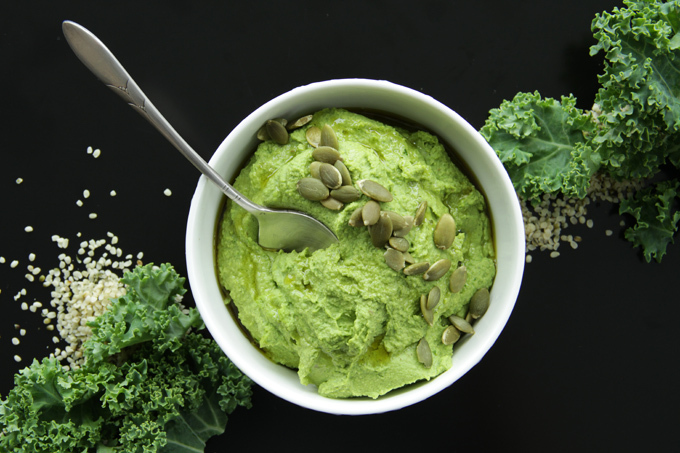 This green hummus is packed with calcium, fibre, protein and tons of flavour. Enjoy as a dip for raw veggies or crackers, as a spread in a sandwich or wrap or use on top of a fresh salad or Buddha bowl. Store in the fridge in a glass air-tight container. A quick tip about tahini. If you happen not to have any on hand, substitute for the same amount with raw sesame seeds.